SimMan ALS provides a mobile, durable solution that will meet the training needs of pre-hospital and in-hospital emergency care providers - from basic assessment to advanced life-support skills. From pre-hospital, on-scene assessment and management to definitive care in a hospital, SimMan ALS can fulfill the unique training requirements of emergency healthcare providers. 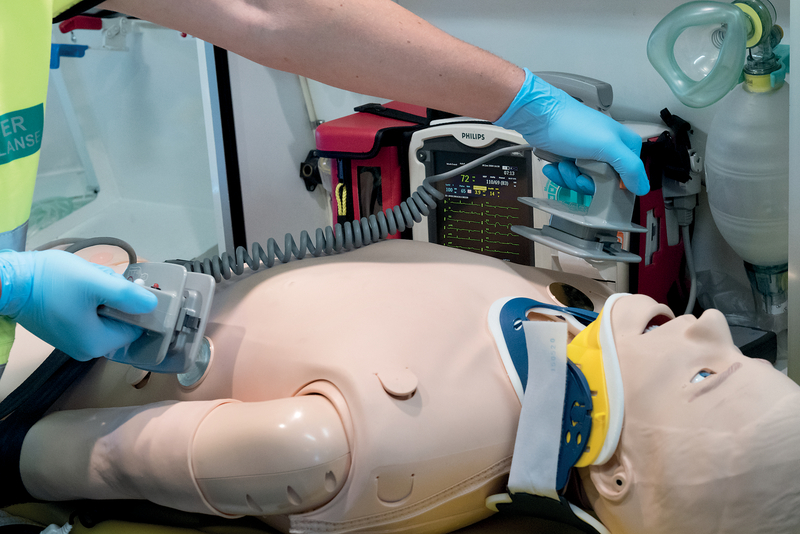 SimMan ALS can be used for the complete training of the American Heart Association (AHA) and European Resuscitation Council (ERC) Advanced Cardiac Life Support (ACLS) Course as well as a wide range of skills from basic assessment to critical care. Pairing SimMan ALS with optional, complementary products can help make the simulation more clinically relevant to a wide range of healthcare disciplines. SimMan ALS allows you to integrate the latest technologies into your training programs when needed. SonoSim® technology has been integrated into the SimMan ALS chest/abdomen skin. This makes it easy to include diagnostic ultrasound featuring real ultrasound cases with pathological findings into full-scale simulations. The Laerdal-SonoSim Ultrasound Solution is only available for LLEAP PC operation. An additional purchase is required for SonoSim system and the patient cases and scenarios. SimMan ALS LiveShock is a combination of a unique SimMan ALS chest skin and an integrated ShockLink unit that enables the use of a live defibrillator with real pads or paddles. No need for separate training pads or paddles. 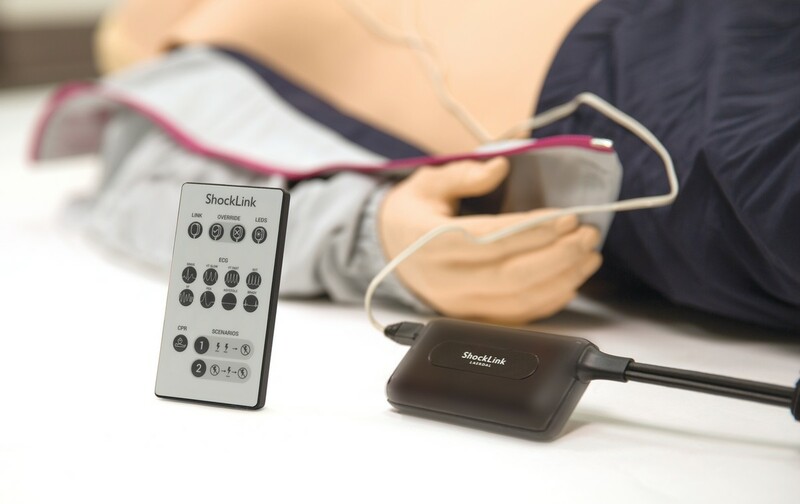 Pairing SimMan ALS with ShockLink (bought separately) enables the use of a live defibrillator with training pads. Training events will automatically be captured in the SimPad PLUS or LLEAP data log for assessment and debrief. For both options, training events such as time spent administering CPR, to placing the pads correctly and delivering a shock with minimal interruptions will automatically be captured in the SimPad PLUS or LLEAP data log for assessment and debrief. Bridge the gap between SimMan ALS and available clinical patient monitors. VitalsBridge is only available during LLEAP PC operation. An additional purchase is required for the VitalsBridge unit and Services. Whether using SimPad PLUS or a LLEAP PC to run your simulation, the software is easy and efficient to use for scenario based training. The intuitive operating platforms provide flexible management of patient parameters, integrated data and video capture, as well as simulated patient monitoring capabilities. Choose the operating systems that works best for your training needs. 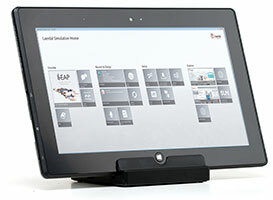 SimView - an integrated debriefing solution giving you the ability to study simulation events more closely. 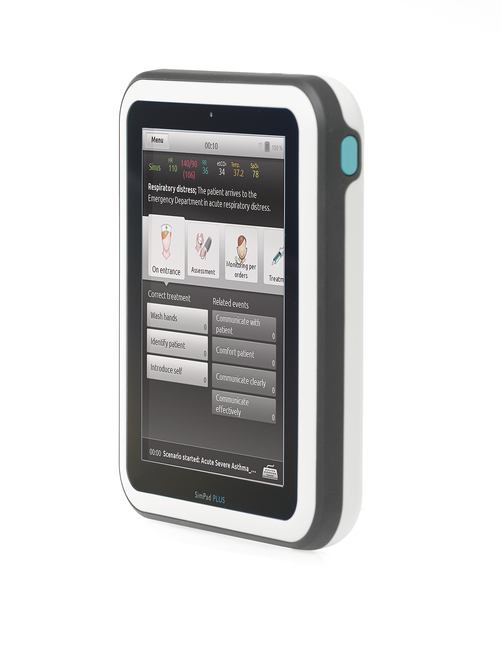 SimView Mobile - the perfect option for debriefing on-the-go- the system is portable, lightweight and easy to set up. Session Viewer - enables audio and video capture from 1 HD USB web camera synchronized with the SimPad PLUS or LLEAP data log. Scenarios and scenario packages are available on SimStore.